Conner Coffin scored a semifinal finish at the 2018 Quiksilver Pro France. Heading into the final contests of the World Surf League 2018 Championship Tour on the North Shore of Oahu, Hawai‘i, Santa Barbara’s Conner Coffin was in unfamiliar territory. He was relaxed, poised for a big finish at the Billabong Pipe Masters and feeling zero pressure to re-qualify for the world tour as it rolled toward the 2019 season — that’s because he had already re-qualified more than a month before. “I think [I made] a lot of changes [from] last year,” Coffin said recently. “The biggest being that I started working with Glenn Hall. He really helped me simplify things on tour, focus on my strengths, show up to events really prepared, and learn more about competing. It’s been a super fun time working with him; I’ve gained a lot of confidence in myself and am having more fun on tour.” Hall is an Australian world-tour veteran who has transitioned into coaching. He also coaches elite-level surfers such as Matt Wilkinson and siblings Owen and Tyler Wright. Last year was by far Coffin’s best on tour, a display of the consistency needed to stay competitive during the yearlong circuit. 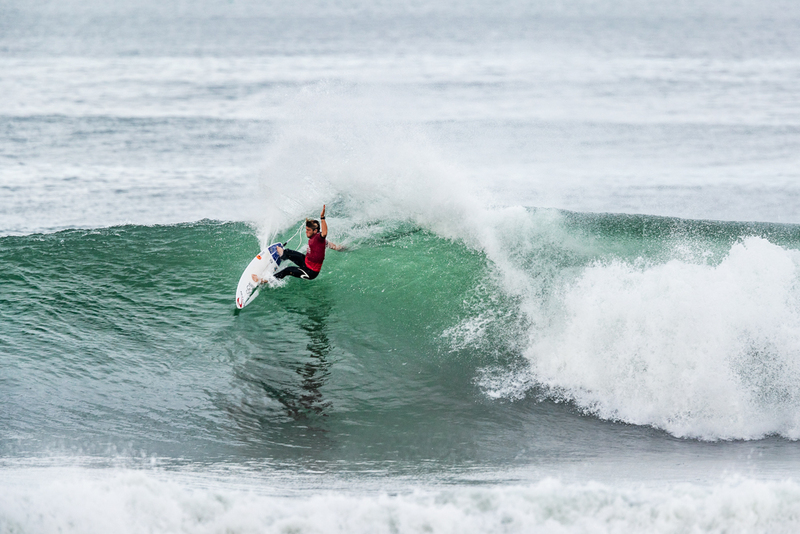 Over the course of 11 events, Coffin finished in the top 10 six times, with three quarterfinal finishes, plus a semifinal finish at the Quiksilver Pro France, his best result since joining the tour in 2016. Coffin finished seventh overall in 2018 and was the highest-ranked U.S. pro in the men’s division. Although Coffin isn’t making any predictions for 2019, the explosive regular-footer is looking forward to the coming season. The World Surf League 2019 Championship Tour begins on April 3 in Australia, with the Quiksilver Pro Gold Coast.